Michigan Roundabouts – Dangerous Intersections or a Step Toward Safety? As part of our ongoing Understanding Dangerous Roads campaign, we’re turning our focus momentarily to roundabouts and their prevalence at dangerous intersections in Michigan. The first Michigan roundabout – a circular road design that requires entering traffic to yield to vehicles already in the circle traveling counterclockwise – was built by the Oakland County Road Commission in 1996. Today, there are more than 100 roundabouts along our state’s roads. As part of our Understanding Dangerous Roads campaign, we highlighted the Saginaw Broadbent intersection in west Lansing last year. This area is particularly problematic and is becoming more and more dangerous due to continually increasing traffic and nearby residential and commercial building projects on the rise. The I-96 I-69 interchange in Lansing is a major artery through which hundreds, if not thousands, of motorists travel every day. As such, the interchange has its fair share of fender benders, as well as serious collisions. In fact, the number of I-96 I-69 accidents since 2012 is more than 600, with many of the crashes resulting in severe injuries and fatalities. 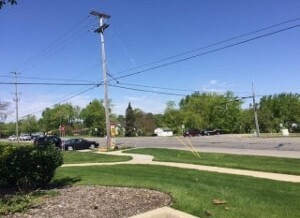 It’s not unusual to see or hear about car accidents at Saginaw and Broadbent, which is why this west Lansing intersection has been designated a Michigan dangerous road. Saginaw heading into Grand Ledge (also known as M-43) is an east-west four-lane highway. Broadbent is a north-south two-lane road that crosses Saginaw. 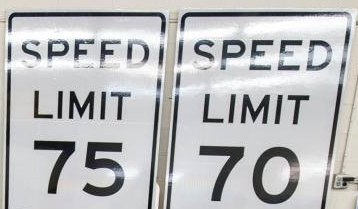 Michigan Speed Limit Increase: Will Roads Become More Dangerous? The speed limit on certain stretches of Michigan interstates is increasing to 75 mph, while it jumping to 65 mph on other state highways. This Michigan speed limit increase began taking effect gradually on May 1, 2017. During the past several years, I-94 US-127 accidents in Jackson have become all too common, leading many to speculate why the area has steadily become known as a dangerous road in Michigan. Police officers throughout Michigan are stepping up traffic enforcement in an effort to draw increased attention to risky driving behaviors — particularly cell phone use — and help curb distracted driving accidents. What is distracted driving? It is any activity that diverts the driver’s attention away from operating the vehicle. It includes using a cell phone, eating and drinking, talking to passengers and messing with a vehicle’s radio, entertainment or navigation system. Where Are The Most Dangerous Roads In Michigan? Michigan roadways present many challenges for motorists, especially during the busy summer travel season and the treacherous winter months. Do you know which roads are considered some of the most dangerous in Michigan?